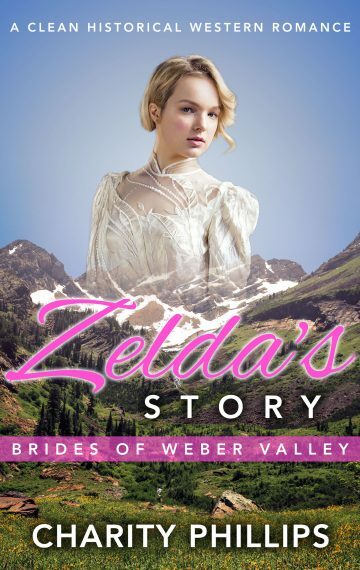 Zelda, the eldest daughter of the Hughes family, longs for a life away from the rolling hills and barn animals of her parents’ farm in Ogden. She loves and supports her family, of course, but she wants to explore what else the world might have to offer her. When word gets around that there is a railway expansion planned to be constructed nearby, Zelda is excited for the new opportunities–and people–it might bring. Her father, however, is not. He doesn’t like the railroads coming near their peaceful, quiet town. Even less does he like the people from further out West; men he presumes to be too greedy for their own good. One day, the Cooke family rolls into town as a part of a wagon train from Coloma, California. When Zelda and their eldest son, Tom Jr., lock eyes, she feels that she has at last found what she has long been yearning for. A Christmas storm seems like it might bring them together, but her father’s frostiness towards them doesn’t dissipate. As the rails are joined together, can the two families also put aside their differences and unite? Will Zelda and Tom ever be able to be together?